Here at Jaguar Colorado Springs, we have one new 2017 Jaguar XE 20D AWD remaining in our inventory. Powered by an efficient 2.0L turbocharged Ingenium diesel engine, this stunning sedan will get an estimated 40 MPG on the highway and 30 MPG in the city. All this while enjoying amazing performance and torque for an exhilarating driving experience. Take delight in luxury Jaguar features including Cold Climate Package, LuxTec seat trim, Brake Assist, traction control, power moonroof, alloy wheels, speed-sensing steering, and so much more! 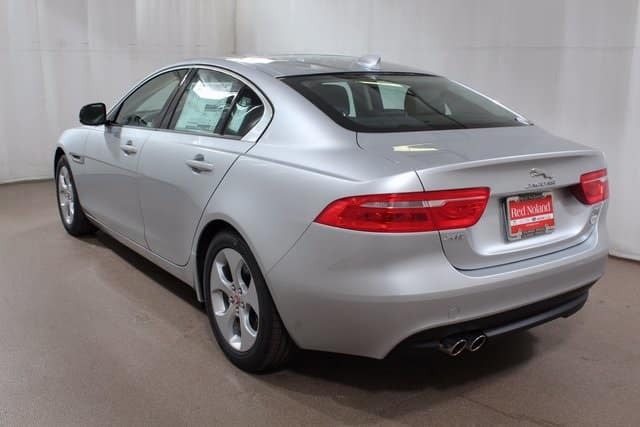 Priced over $5,200 below MSRP, this fuel-efficient, exciting Jaguar is priced to sell quickly. Qualified buyers can receive 1.9% APR for 60 months when taking ownership by 2/28/2018. Contact Jaguar Colorado Springs today for more information on this ALG Residual Value Award winner!